Whether you’re an executive, a VP, a director, or whatever your level is within an organization, in most cases, it’s not about you. Everything that you do is about the company. 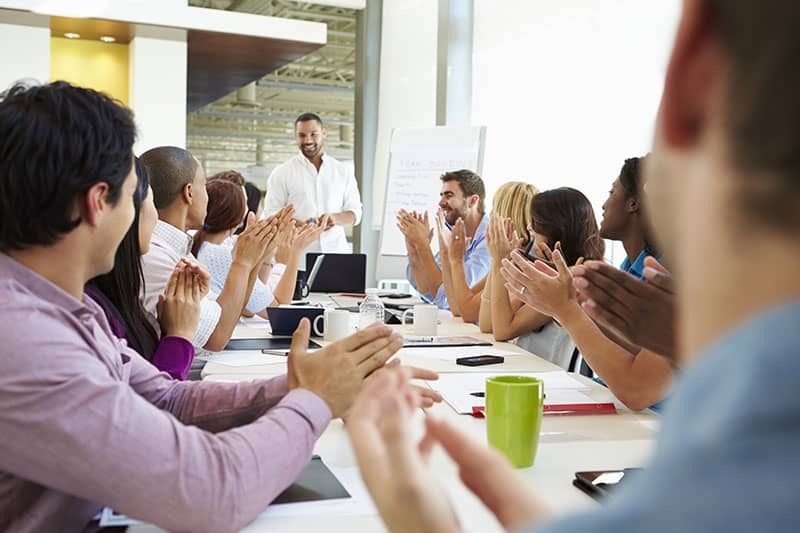 Even though much of the success the company is seeing is directly connected to you, you somehow feel uncomfortable talking about your accomplishments and contribution. When you leave the corporate world and decide to become a consultant, if you carry the same mindset that you had as an employee, that is going to hurt your business. This is why it’s so important that you promote yourself, but you must do it the right way. As a real consultant, you’re building your business based on relationships that you create with people based on meaningful conversations. 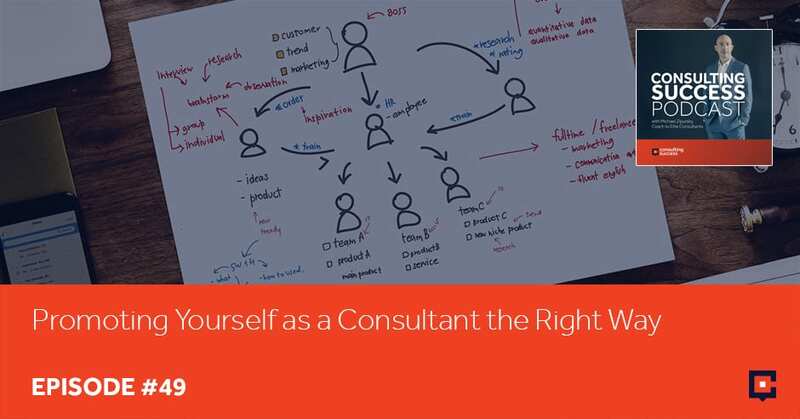 Discover strategies on promoting yourself as a consultant the right way so you can enter into more meaningful conversations and take advantage of opportunities for greater growth. I’m extremely excited to have you here joining us on another episode. This episode’s going to be a little bit different. 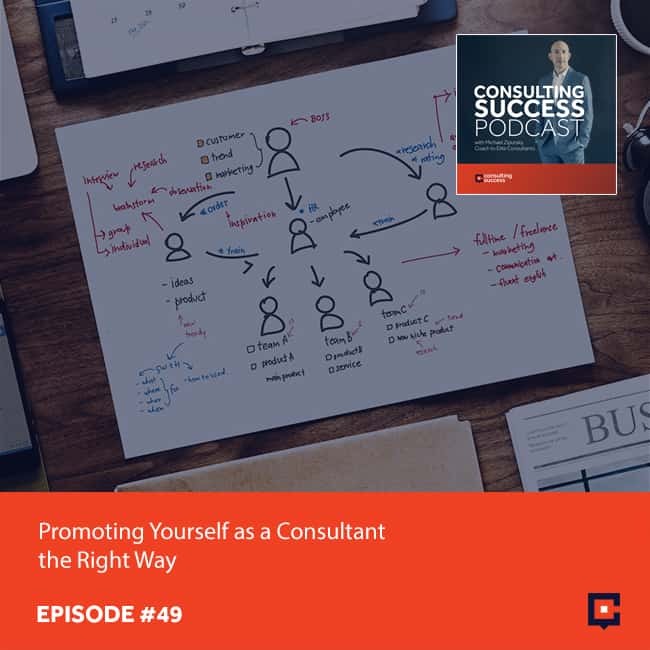 Typically, I have consultants on the show where I interview them and we explore their journey, their successes, challenges and lessons learned along the way as they build their consulting business. This episode I’m going to hold the mic and I want to share a lesson with you. This is going to be a little bit different because it’s just going to be me, but I hope that you’re going to find this to be a valuable lesson. 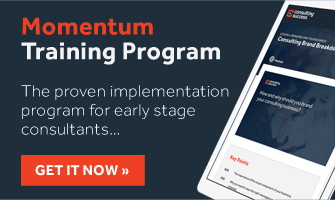 I know from working with hundreds of consultants personally and assisting them in growing their businesses that this lesson certainly can move the needle in a pretty significant way for many. I hope that you’ll take some value and lessons from it as well. That being said, I want to encourage you to provide feedback. I’d love to hear from you. Go to ConsultingSuccess.com and drop us a note. Let us know if you are enjoying these podcasts and if you like this lesson or other lessons because I will try and mix some of these in amongst the other interviews that I’m doing with consultants, let us know there or head over to iTunes. I would love to get your review and feedback on the actual show. Five-star reviews are always appreciated and ideas as well. You can reach out to us directly so we can continue to provide a greater and greater value for you in the show. If you really look at the consulting business and any business, without sales, without some form of promotion, nothing happens. Let’s talk about Eric because Eric is someone that left the corporate world a little while ago now. When he was in the corporate world, everything that he did wasn’t about him. It was about the company. 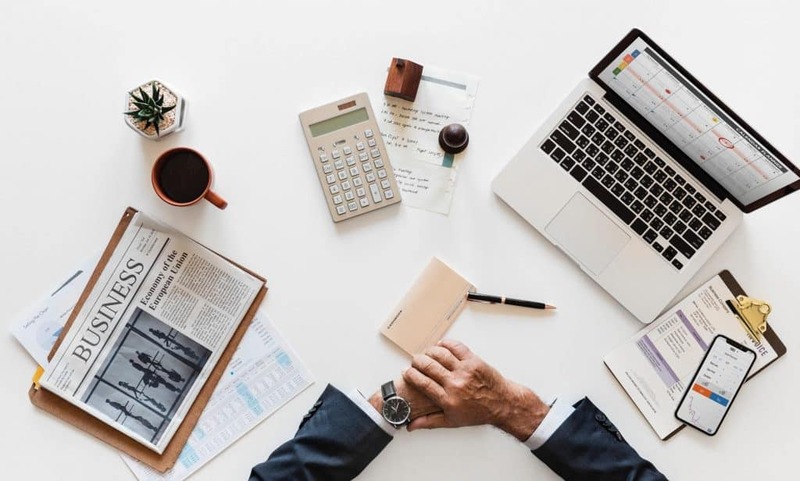 When you think about your own experience, your time in the corporate world, you might be in the corporate world right now or you may have left it recently or maybe it’s been over a decade. If you remember back that time, even when you are at the highest levels, when you are an executive, a VP, a director, whatever your level is within that organization, in most cases, it’s not about you. Everything that you do is about the company. Eric was no different. He was a high-flying seasoned executive with a great deal of experience. He was working in this organization as a senior executive and he had significantly grown his company sales. He really moved the needle for them, helped them to add millions and millions of dollars to their bottom line every single year that he was part of the company which multiplied into hundreds of millions of dollars over time. He got paid extremely well for what he did. People told him that he was really good at his job but he never felt comfortable talking publicly about his accomplishments, about what he did. People would say, “What do you do?” He would tell them, “I’m a VP and a I work in sales at XYZ company. They said, “That’s really interesting,” and the conversation would go on but he would never share with them what he inside was excited about. The results that he had created, his real achievements. Deep down inside he knew that so much of the success the company was seeing was directly connected to him. Of course, he understood that it wasn’t all his doing. That there were many other people in this organization who played critical roles. When Eric was really honest with himself and looked at the impact that his actions had, any organization, they were significant. He could trace his actions, the strategies that he implemented, the tactics that he had teams take action on directly to meaningful results but he couldn’t talk about it. He didn’t feel comfortable. Inside he was concerned that if he talked about what he had done, that he would come across as being full of ego and just too self-absorbed and that people will look at them and say, “Why are you talking about yourself so much?” When Eric decided to leave the corporate world, when he realized that there wasn’t much more for him to learn, there wasn’t higher ladders for him to really climb and he was tired of the office politics and just the talk around the water cooler. He wanted to control his own destiny. He wants to go out and start his own consulting business, so that’s what he did. When he left the corporate world and became a consultant, the same mindset that he had as an employee was already deeply entrenched. Eric didn’t feel comfortable talking about what he had done. He didn’t want to share the projects that he led, the sales that he grew, and how the company had directly benefited from his involvement, because in his mind that would be to forward. It would be too salesy. It will be too promotional, so he held off, he didn’t talk about it, he didn’t make it public, he didn’t put it onto his website or his LinkedIn profile. Those feelings, those thoughts started to creep deeper and deeper throughout his body and his mind. It started to impact his relationship with his wife of many years. She was very supportive of him, but still she could see that he was unhappy and because he was unhappy, that impacted and influenced and affected how he acted. The same with his kids. He didn’t want to show that he was having these feelings inside of self-doubt and self-esteem issues and lack of confidence because he’s the father. He needed to be tough. He didn’t want to let people know what was going on deep down inside, and so that took a toll. Not only did it affect his confidence, that affected his income as well. It affected his family because really what Eric was doing, essentially he expected prospective clients to be mind readers, to somehow know what his extraordinary accomplishments were without Eric sharing them himself. That of course didn’t happen because most people are not very good at reading minds and that’s not their job. It’s not the job of a perspective buyer to know about your successes, to know about your accomplishments if you’re not sharing what they are. So many consultants are often afraid. They’re concerned to promote themselves, to sell themselves. These words, promotion and sales sound dirty to so many people. It’s like they’re stained. Yet, if you really look at the consulting business and any business for that matter, without sales, without some form of promotion, nothing happens. We could even argue that referrals come from some form of promotion. It’s just may not be that you are promoting what you’re doing but someone else is doing it for you. That comes because of certain things. We’re not talking about referrals but I’d be happy to share more of that with you and offer some strategies and tactics to get more referrals. Really what we’re talking about here is Eric’s situation and it may be your situation, which is that Eric was holding off talking about what he had really done, the impact that he had had, his experience, his track record, and the results that he had created. Because he wasn’t doing that, no one actually knew why they should hire him. 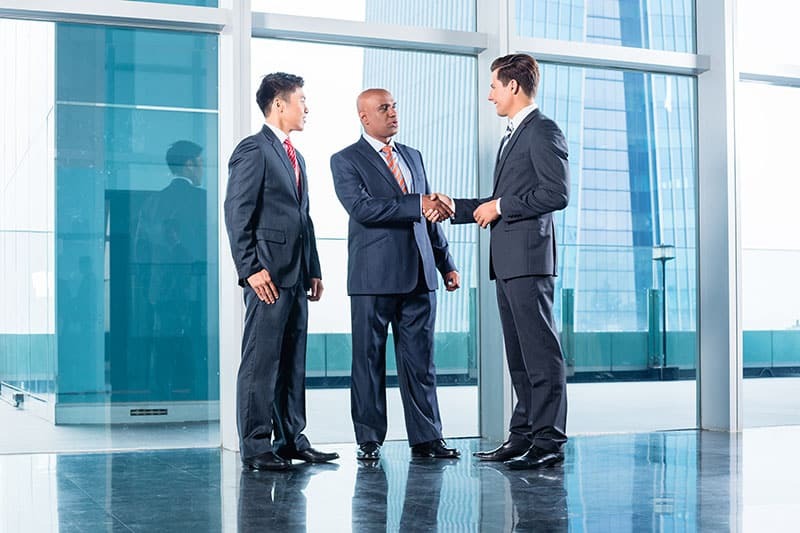 He said, “I’m a sales consultant.” They say, “Wonderful.” He’d say, “I worked at this company. This was my position.” To some people that meant something because it’s a well-known company, but to others it was like, “Yes, but I know ten other people that are sales consultants who will work in similar companies across the country. What’s different about you?” He’d say, “I’m good at what I do. I did it for a long time.” That’s not so compelling. As a real consultant, you’re building your business based on relationships that you create with people based on meaningful conversations. This is why it’s so important that you promote yourself, but you must do it the right way. I’m not talking about self-promotion coming from a place where you have to try and push and persuade. No one likes that, we’re adults here. That’s not how business is done as a real consultant. As a real consultant, you’re building your business based on relationships that you create with people based on meaningful conversations. A great way to enter into more meaningful conversations is to promote yourself the right way. Allow me to offer you a few suggestions. Number one, always state your specific accomplishments. Do it on your website, on your LinkedIn profile, and in conversations with people. You don’t need to speak for half an hour about every single little thing that you have done at a company or with a previous client unless your prospective buyer is interested in that, but you can tell them, “This is what we did. We took this company and we helped them to enter into four new markets over a 24-month period.” Specific. That helps a buyer to understand what you’ve actually accomplished. It shows and bolsters your credibility, your authority as a true expert. Number two, be specific about results. Very similar to accomplishments, but to offer you a little variation on a way to think about it. Did you help your past employer, a past client in any situation to grow their sales, to decrease expenses, right, to cut costs, to improve efficiency or productivity or a sales process or a manufacturing line? In terms of speed, anything that can be measured. Talk about it. Say that you increased sales 25% within three weeks. Mention that you added over a billion dollars to your clients over five years, or that you took a company from zero to $25 million within four years, or that you helped a company reduce their costs by 33% using a specific process that you developed over fifteen years in the business. The more specific you can be, the better. How can you help be specific about it? The key here, and what I hope that you take away from this lesson is be specific and let your experience, your results, your track record, your expertise, and your authority shine. Don’t hold back. Don’t wait for someone to discover what you’ve done. Get up there, shout from the rooftops, let people know what it is that you do, not in a noxious weight, but in a professional way. The more that you tell people what is that you do, the clear you are with your language on your website, your LinkedIn profile, when you meet people, when they ask you what you do, when you’re at a networking event, when you’re on in a conversation with a perspective client, in your marketing outreach. Everything that you do should be specific, should include these specifics because these are what people gravitate towards. This is what helps you to cut through the clutter and all the noise in the marketplace. Take a look at how you are currently marketing, promoting, and selling your own services and recognize that if you’re not doing it for yourself, no one else is going to do it for you, and that’s a big opportunity for greater growth. I wish you the best. Hopefully you’ve enjoyed this lesson and if you have head over to iTunes, please leave a review and a rating. 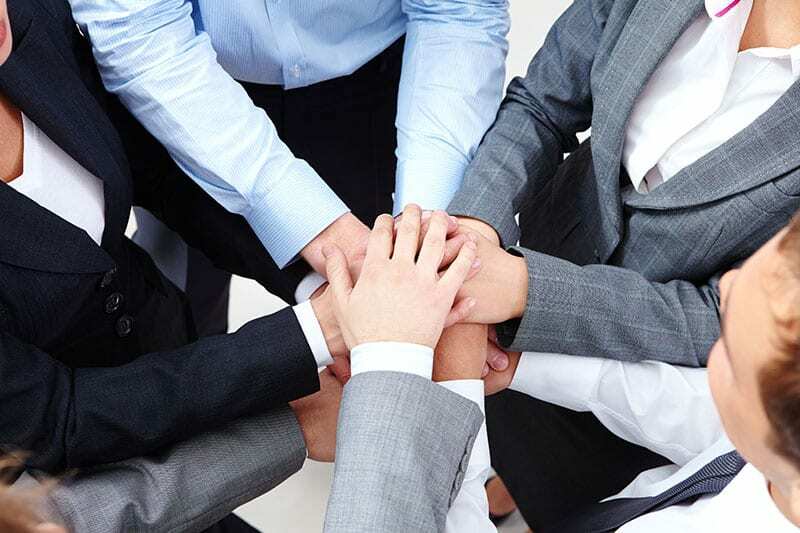 Reach out to us also directly at ConsultingSuccess.com. We’d love to hear from you. Have a great day.